Get captivated by the war stories in the newspapers, censored press and trench papers from the First World War. An exciting discovery into the life at and behind the warfront. 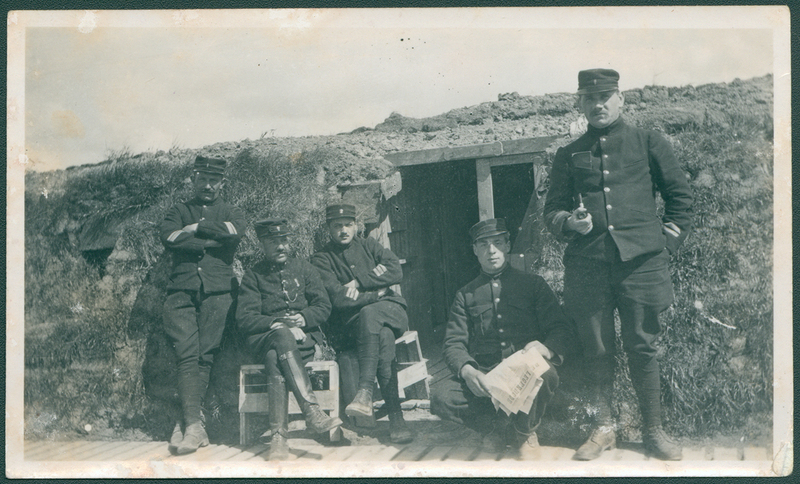 Interested in authentic source material from the First World War? Curious about daily life under the German occupier? Searching for traces of your grandfather at the front? Then, at News from The Great War, you are in the right place. Here, you will find a unique digital collection of press material that was published in our region during the war years. Browse wherever and whenever you wish through the diverse range of trench papers, underground press, newspapers, magazines, pamphlets and leaflets, good for some 360,000 pages of history of incalculable worth. Due to the commemoration of 100 Years of the Great War, there has been a great deal of interest in the printed press from The First World War. But after a hundred years, many of the paper items are now showing the inevitable signs of the ravages of time, in spite of efforts to preserve them as well as possible. With the fragile state of the paper in mind, the Flemish Institute for Archiving (VIAA) was asked in 2013 by the Flanders Heritage Library, FARO and PACKED to digitalize these war publications and to make them available for everyone. To achieve this, these four organisations joined forces with thirteen Flemish heritage institutions. It is the newspapers from their collections that you will find here: more than 270,000 newspaper pages, spread over as many as 52,236 editions, encompassing 904 different titles. In 2018, the Great War commemorations drew to a close. In order to ensure that the newspaper collection remains permanently findable, usable and relevant, it is being enriched with linked data. This means that the newspapers can now be linked to other databanks, for example the Names List. What does this mean in terms of how the collection can be used? Find out here. The paper items will remain permanently preserved for the future; you can browse the digital versions here.